No, I Haven&apos;t Lost My Mind, It&apos;s Backed Up On Disk Around Here Somewhere! 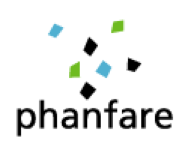 I have all of my original, hi-res photos, 2002 to-date, hosted by Phanfare. You see these “photo galleries” as full-screen, hi-res slide shows in My Photo Galleries. 1. They are my “backup” for all my “original hi-res” photo files. I would be crushed if I were to loose these, with hard disk crash, fire, or other disaster. Before Phanfare I trudged back and forth to my safe deposit box with archived DVD’s; what a pain! 2. They provide good tools for customizing the look and music of various albums. 3. They provide amazing FULL SCREEN presentation of my albums! OH! They support small video clips also! 4. Here are the options for the viewer of any album. Downloads are the hi-res version of any picture. The “Download Slideshow” is really neat, putting a “playable” slide viewer with music right on your desktop! 5. They have continually improved their product and their support via e-mail is superb. 6. They offer privacy and passwording of your albums, if you want it; I never use it; all my stuff is OPEN to everyone!